The 24th monthly dev blog is now available (2 years of writing these updates!) 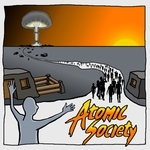 all about the making Atomic Society. Covers a ton of stuff that's going into the final creation of version 0.0.8 and explains where we're at with the latest update.